Roxborough Family Dental is proud to announce that we will partnering with the American Dental Association by participating in the Give Kids a Smile program on Feb 2, 2018 from 9am to 2pm. Give Kids a Smile is the centerpiece to the National Children’s Dental Health Month (NCDHM) and is an ADA Foundation nationally recognized event. NCDHM focuses on providing oral health education to all children, while GKAS is designed to provide oral health education and free screenings, treatment, preventive and restorative services to children in need. In addition to helping underserved children, Give Kids a Smile’s intent is to highlight for policy makers the ongoing challenges that disadvantaged children and children with disabilities face in accessing dental care. 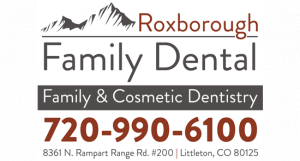 If you would like to schedule an appointment for your child or children for the GKAS event at Roxborough Family Dental please contact the office at 720-990-6100 anytime between now and Feb 1st, 2018. We will be providing free exams, xrays, cleanings, extractions, and restorative care. In the event that your child’s dental care is too extensive and beyond the scope of our dental practice we will provide you with a referral source to help you access affordable dental care to address your child’s dental needs. Thank you so much and we look forward to seeing all those beautiful little smiles on February 2, 2018 at Roxborough Family Dental. *Some restrictions may apply on the number of fillings or extractions that will be provided per child depending on the extent and complexity of the dental needs of the patient.